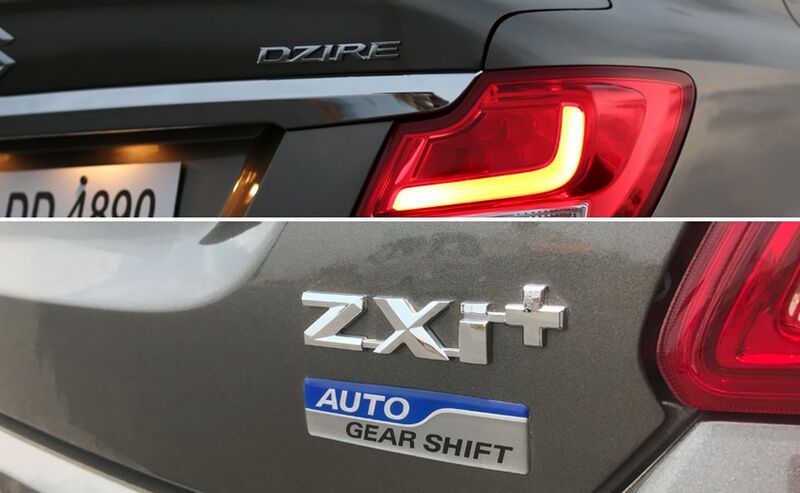 Does the automatic or AMT gearbox equipped Maruti Suzuki Dzire make more sense than the manual option especially since now you can get in the fully loaded Z+ variants? We find out. With India’s traffic situation going from bad to DEFCON 1, it comes as no surprise that the number of automatic gearbox equipped cars sold keeps increasing every month. A few years ago, the automatic gearbox was seen as unreliable, less fuel efficient more expensive and a lot more difficult to maintain. Also, considering the fact that almost every single Indian driver has learnt how to drive a stick shift, the automatic gearbox just did not appeal to the mass markets and were the domain of luxury carmakers. And then the AMT movement hit! With mass market players like Tata, Mahindra and of course, Maruti Suzuki bringing in the AMT or Automated Manual Transmission to the country at prices that were much cheaper than traditional auto-boxes and with fuel economy figures that were identical to the ones on the manual, there was a large number of people that realised how much sense it made. Lets start with the diesel AMT. The new Maruti Suzuki Dzire gets the same 1.3-litre diesel engine that the last generation Swift Dzire got combined with the AMT 5-speed gearbox. The engine, a 4-cylinder turbo diesel makes 74 bhp of peak power and 190 Nm of peak torque. The 5-speed AMT unit is essentially an electronic controller on the 5-speed manual gearbox which means you still get the 28.4 kmpl fuel efficiency figure. Incidentally, that makes it the most fuel-efficient car in the country! The combination of the diesel engine and the AMT gearbox makes a great pair and if you drive normally or sedately, there is barely any lag between shifts. The typical automatic ‘shift nod’ that you experience when an auto box shifts its gears is also absent at lower revs. In case you were wondering though, a ‘shift nod’ is the back and forth nodding movement that your head experiences when the car shifts gears in an automatic gearbox due to the sudden drop in power delivery and thus a change in the vehicle’s overall velocity. Coming back to the car though, the Dzire AMT offers great drivability and feels smooth in start and stop traffic too. Floor the throttle pedal a little more though and you do get a bit of lag in the shifts. Maruti does not equip the AMT units with a sport mode like most other manufacturers. We think an addition of that sport mode would make the shifts a lot faster making the Dzire diesel AMT as much fun to drive hard as the manual is. The petrol Maruti Suzuki Dzire engine remains the same 1.2-litre motor that makes 82 bhp and 113 Nm of torque. The big mechanical change in the new generation Maruti Suzuki Dzire though is the addition of the petrol engine with the AMT gearbox in addition to the normal 5-speed manual. Comparatively, the older Swift Dzire had a 4-speed conventional automatic and not the new AMT unit as the diesel had. The AMT unit in the Dzire petrol is the same one that the Ignis petrol AMT gets but with a retune towards a more comfortable and smoother shift pattern. Unlike the diesel, there is a bit more of the shift nod phenomenon between gears at lower revs. But the gearbox does seem to have no shift shock or sudden shifting between gears though and the petrol revs as freely with the AMT as with the manual gearbox. Just like with the diesel though, the addition of a sports mode would have made the Dzire petrol automatic a much nicer car to drive as compared to how it currently is. That said, we did test both the AMTs on a hilly road with quite a steep incline and although there is no official hill hold or hill start assist, the gearbox does stop the car from rolling backwards after abou a foot or so and holds the car in place till you use the throttle to move forward again. The fuel economy figure on the petrol automatic is 22.0 kmpl which again, is identical to the one you can get on the manual gearbox option. So what is the verdict? Well, if you can spend that average of about Rs 50,000 on the automatic (AMT) or as Maruti Suzuki calls it, AGS – Auto Gear Shift, you should most certainly consider it. The good thing about the new Dzire is the fact that you can get the AMT option in the top of the line Z+ variant too which in turn means you can get a fully loaded car with the AMT option. The Ignis, which also has the AMT gearbox never offered that option. This means that you get the likes of the LED daytime running lights and LED headlamps along with the large touchscreen infotainment system while still enjoying the ease of the AMT gearbox. 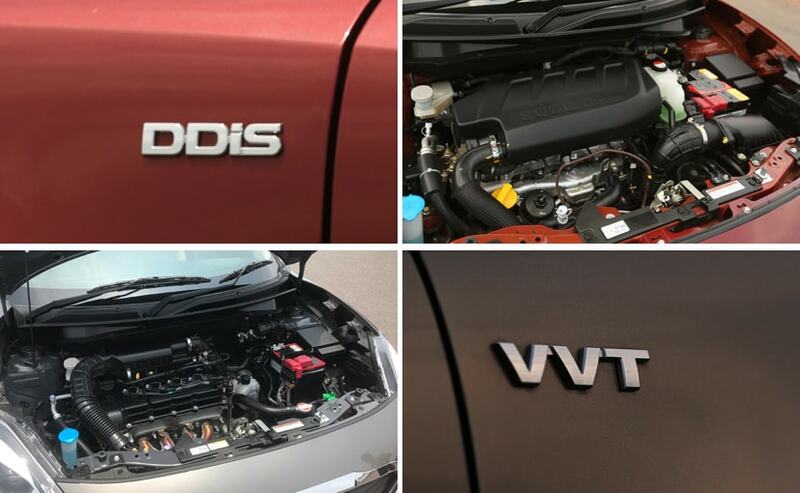 If I had to choose then, my pick would be the diesel engine with the AMT gearbox simply because of a combination of being a fun to drive car and yet offering phenomenal fuel economy.